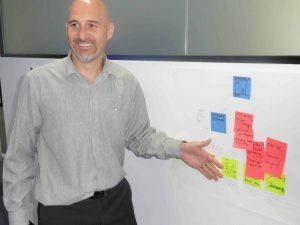 At TXM we knew the work TXM Director, Ron Spiteri, had done with Kimberly Clark Professional was pretty special, but the significance of this innovative approach to Lean Sales was brought home when it featured in the March edition of the world’s most prestigious business journal, the Harvard Business Review. 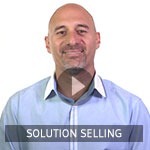 Ron has worked over the past two years helping Kimberly Clark Professional (KCP) develop and implement a unique approach to value selling called “Exceptional Workplaces“. Ron has coached the KCP sales and marketing team across the region from Aircraft Heavy Maintenance bases in China to major office buildings in India, to a mine site on a remote Indonesian Island. The result was an innovative set of sales tools and knowledge based on Lean that has now been adopted as the global standard by KCP. Kimberly-Clark Professional (KCP) sells health and safety products and services to businesses worldwide. To make enterprise sales such as airframe maintenance solutions, KCP may have to align the seemingly diverse interests of production managers, safety officers, sustainability heads, purchasing managers, and others who need to agree on a purchase. One way KCP achieves this is through facilities assessments, or site surveys, that provide shared learning. 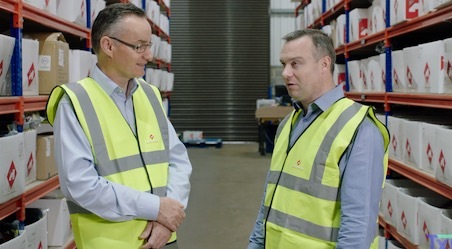 Marketing promotes the surveys on its website and sends potential customers invitations explaining the benefits of “learning tours” in which KCP experts visit facilities, offer advice on improvements, and answer questions. Typically, the accompanying materials promise guidance on how to control costs, increase productivity, reduce workers’ exposure to hazardous materials, and increase environmental performance—highlighting the stakeholders’ shared needs. After the walk-through, KCP provides a report summarizing its findings and recommendations.